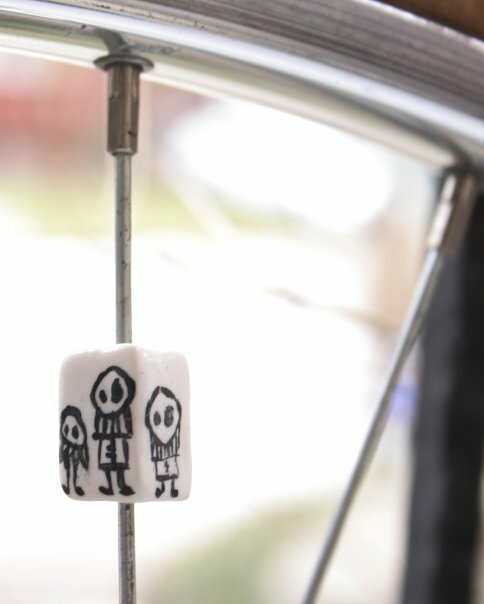 I made these bike spoke beads out of white Fimo. They're painted with acrylics and coated with a clear lacquer. There's actually no proper way to get them on your bike. I just crack them open with a knife and super glue them back together around the spoke. But despite my ghetto ways, they have become quite popular. If you look closely, you might see them cruising around on various bikes along the streets of Toronto. Some of them are even enjoying the sun in Honolulu. Unfortunately the owl was on a quick-release wheel that has since been stolen. 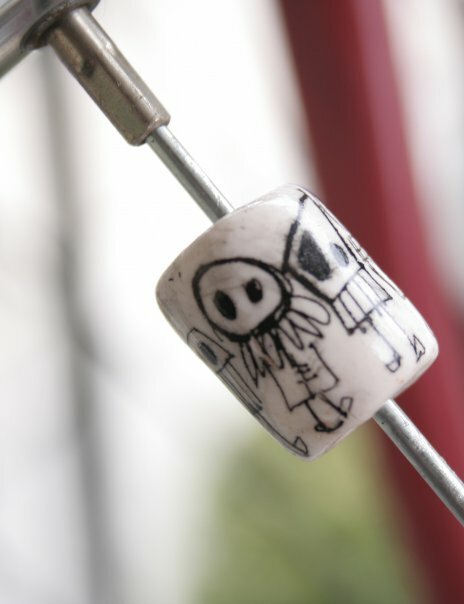 A very astute six-year old boy came to visit my house to choose some beads for his bike. I expected him to pick one of the colourful ones, but instead, he chose the skull (not pictured here, but it really was my masterpiece) He was just about finished choosing, when he saw a round bead with a tree painted on it. He said, "This is perfect, now I will have a brain to put inside my skull." They are still a-clik-claking along. I love them.